Teddy bear set. 【SLAVIC GIRLS (WOMEN)】, ukraine girls your brides, russian girl for marriage..
A sweet composition no lady would resist! It consists of a fluffy cute teddy bear holding a bouquet of 5 mini roses and sweets. Make her feel she is special for you! 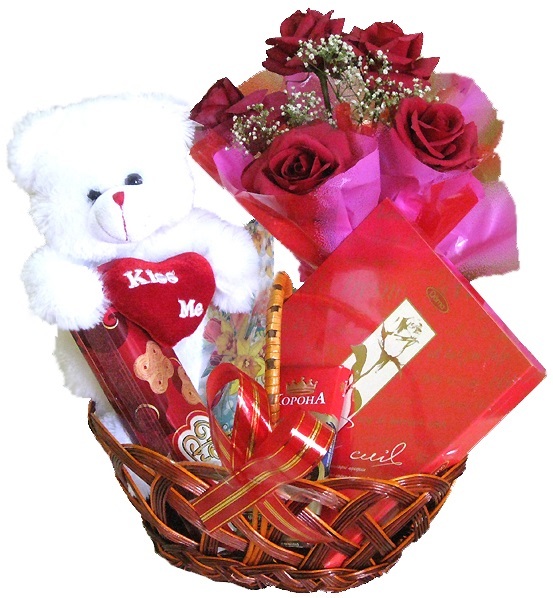 The basket contains a small teddy-bear, 5 mini-roses in wrapping paper, cookies, box of sweets and a chocolate. You can choose the color of flowers according to your taste.